“The Letter”, a Christmas commercial for German online retail company Otto, has won Gold at the Clio Awards. 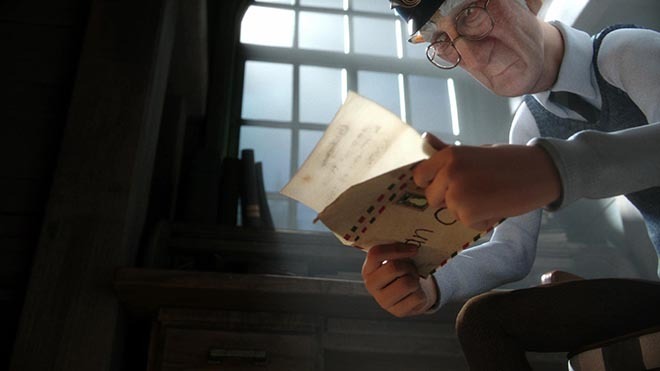 The 3D animated commercial presents the story of a young boy, Tommy, and a postman, whose lives become connected over years through a lost letter. The postman, weathered by life, sets out to fulfill the childhood Christmas wish of a boy made long ago. Otto The Letter also won Gold for animation and special effects at The Golden Award of Montreux, 2016. The Otto Letter commercial was developed at Heimat, Berlin, by chief creative officer Guido Heffels, creative directors Sabina Hesse and Ricardo Distefano, art director Albert Can, copywriter Lisa Yvonne Heimgartner, agency producer Alexander Münzer, account supervisors Maik Richter and Julia Bubenik, account coordinator Francisca Maier, working with OTTO creative director Marco Schubert, head of brand communication Sandra Bernin, executive campaign manager Claudia Cantus, and digital campaign manager Sandra Albers. designers Eunice Kim, Pedro Lavin, Denny Khurniawan, Andrew Park, Huy Dang, Kim Dulaney, Erika Lee, Sean McClintock, Ivy Tai, lead technical director Frank Naranjo, VFX producer Liam Griffin, previz artist Ryan Moran, modellers Bryan Eck, Briana Franceschini, Ellen Su, rigger Lukas Wadya, lighting team Oliver Castle, Briana Franceschini, Andy Hara, Carl Krause, Chris Santoianni, Ieva Sauciunaite, Ellen Su, 3D animators Arsen Arzumanyan, Sam Crees, Henning Koczy, Ryan Moran, Pat Porter, Anthony Travieso, 2D animator Efrain Cintron, storyboard artist Ben Chan, compositors Thomas Panayiotou, Evan Schoonmaker, Herculano Fernandes, Sang Lee, Uros Otasevic, editors Sarra Idris and Ethan Spiro, executive producer Julian Holland (Stink), executive producer Lydia Holness (Psyop), producers Aleen Kim and Ryan Mack, production assistant Chelsea Hyon. Sound and music were produced at 48K, Berlin, by Thomas Berlin and Ramin Schmiedekampf.